We were one of the Largest Stocking Dealers of Maven Peal that were some of the finest and most versatile amps ever made. Dave Zimmerman's innovative circuits, great components and high build quality made these amps very special. These amps are not built anymore but we still have a couple NOS Maven Peal amps in their original factory boxes. Call us for our best price. 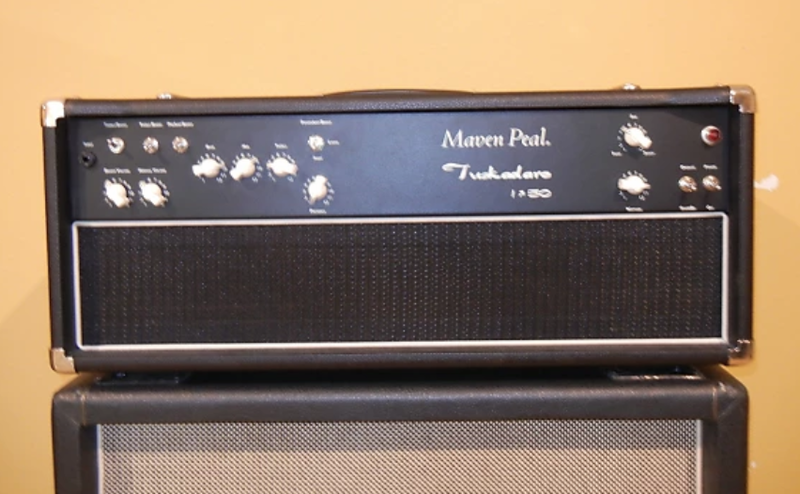 The Tuskadaro 1->50 is a lighter version of Maven Peal's Ganesha 1->100 watt head with one set of power tubes and no FX loop. With the Maven Peal power supply in the Zeeta, the amp offers a range of true wattage control.